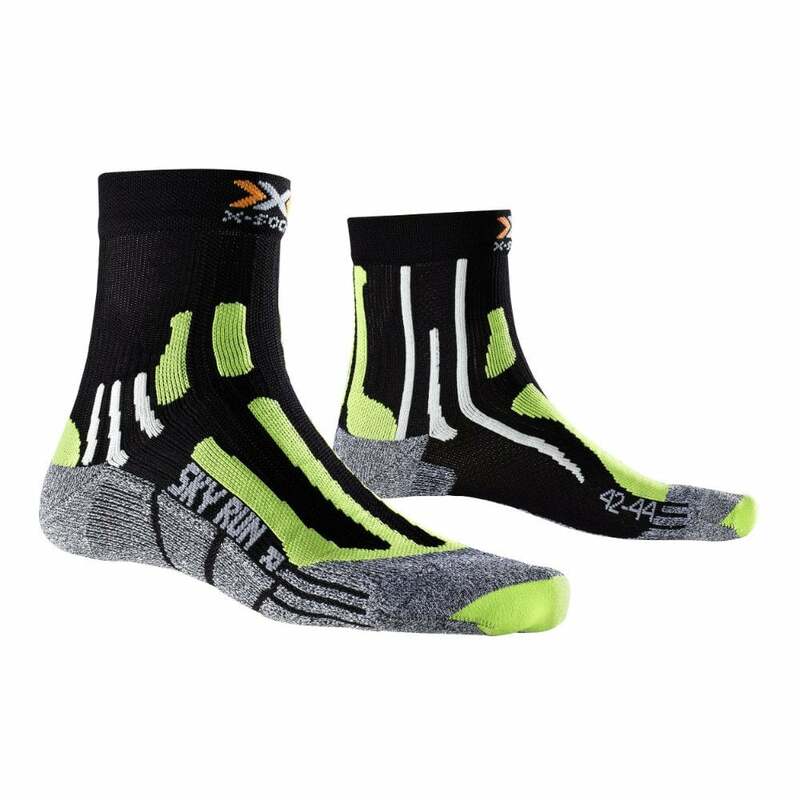 X-Socks Sky Run 2.0 is ideal for everyone from marathon runners to regular runners. X-Socks innovative, airy AirGoTex mesh knit on the instep pares back weight and makes the sock extremely breathable working with the shoe with every step, while sucking in fresh air right under the sole. This inturn keeps your feet dry and therefore resists blisters and chafing. As you'd expect from the X-Socks brand the Sky Run also has a host of other features within the yarn make-up to help aid foot care.